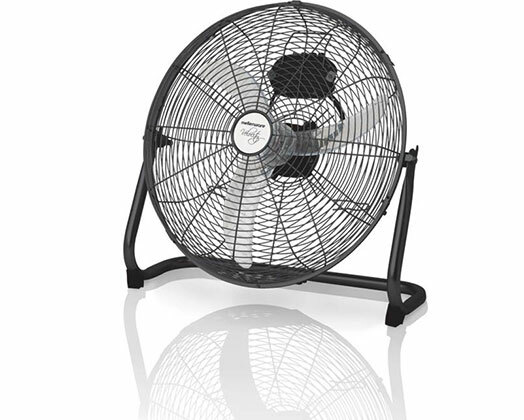 Home Products Mellerware Fan 3 Speed Floor Fan Steel Black 45cm 60W "Velocity 18"
Mellerware Fan 3 Speed Floor Fan Steel Black 45cm 60W "Velocity 18"
Beat the heat with the Velocity Floor fan from Mellerware. With its 45cm diameter radial grille, 3 speed selections and tilt adjustment all in a classic black finish. This is a must have for every South African household! Metal body with black finish.